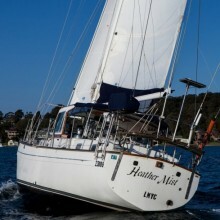 Professional skipper with commercial Aust. qualification. 45 years offshore experience. and willing to stand watches as required. Non smokers only. Hi standards of safety and responsibility are maintained at all times.